Size: Fits wrists up to 7.75 inches. 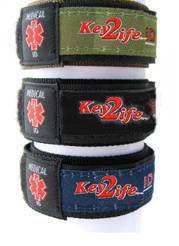 This EMR Medi-Chip Sports Band design contains a Key 2 Life® (EMR) with USB Medi-Chip. An individual utilizes this EMR Medi-Chip Sports Band to upload and store confidential electronic medical records. Access to confidential electronic medical records is urgent when a medical crisis arises. 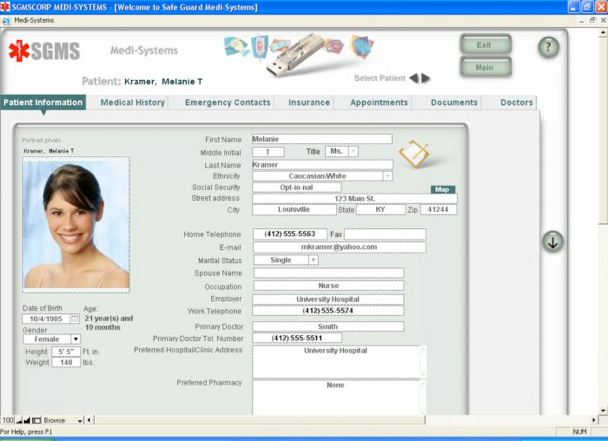 The EMR Medi-Chip Sports Band product separates to insert in a computer to acccess electronic medical records. 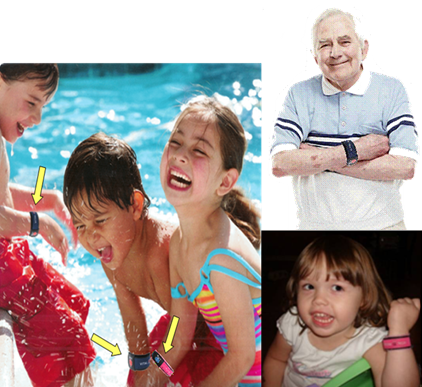 This EMR Medi-Chip Sports Band is light weight (3 ounces) and 100% waterproof. This USB is hard to set up ,compared to the first ID I have from this same company. The first one the USB is metal and from sweat was getting rust on it; this one is plastic and waterproof. When a EMT plugs this in, your medical information does not come up, you must try work your way thru pages to get what they need. The old one as soon as you insert the USB everything is on the screen. I do not use this bracelet because of this. I have a ROAD ID bracelet that is easy to set up and all information can be received from the internet or a call on a 800 number. If you are in a accident, what would you want. A lot of work to set up! This USB armband is a great idea, but it is by no means easy to get all the fields filled in. There are a LOT of pages you can fill with various kinds of medical information. It gets to be a real chore. There's no way to import data from a Word document, PDF, nothing. You will have to type EVERYTHING yourself. 5 stars for the idea, 1 star for the hassle of getting your medical profile onto it. I ordered this ID band for my 10 year old son who is very picky and self conscious that he needs to wear a medical id bracelet. It is the only ID bracelet that we both agreed upon. He wears it everyday without feeling self conscious and I am happy to know that he has a medical chip that can pull up all his information if there is an emergency. We even accidentally sent it through the washing machine and when it came out, the chip still worked perfectly. Thank you! my son in law needs this!! !